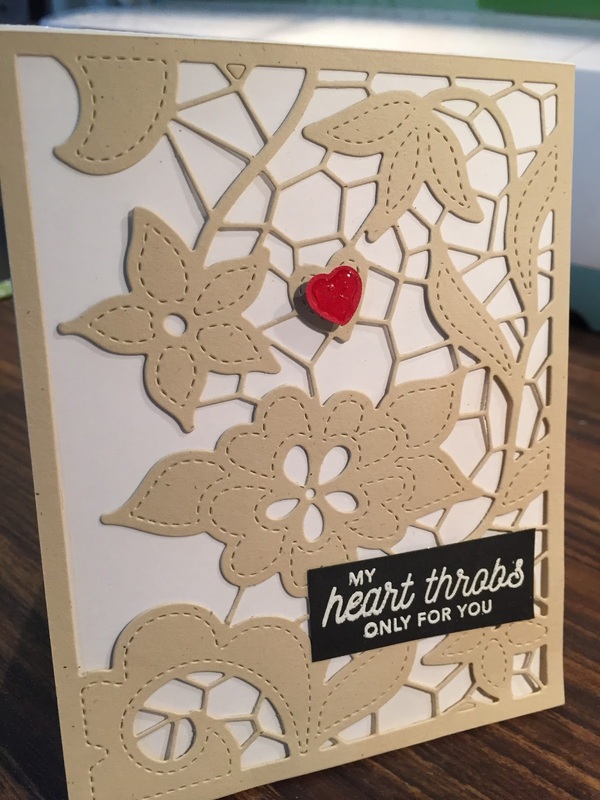 I thought Altenew's Doodled Lace Cover Die would be perfect for Valentine's Day! I cut two, one in Neenah Classic Crest Solar White cardstock and one in Gina K Designs heavy weight cardstock in Sandy Beach. I mounted the white diecut on Gina K's kraft cardstock and the other on Neenah Solar White. 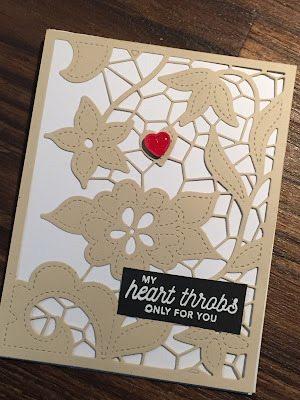 The sentiment is from CZ Design's HEARTTHROB, stamped with Versamark on Gina K's black cardstock and embossed in white. On each of these, I used a tiny heart from the HEART THROB set diecut from red cardstock and adhered it with a popup foam dot. 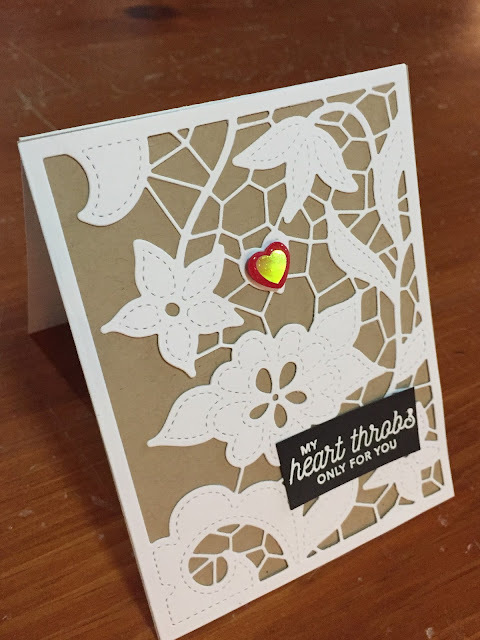 Then I added some Nuvo crystal clear to give the hearts more dimension. 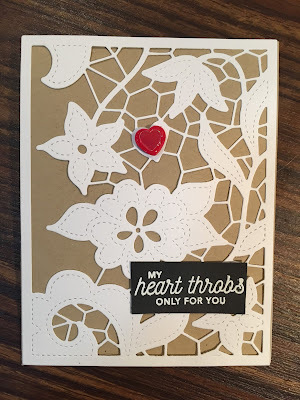 Confession: on the white-on-kraft version, I had to add a little shimmery heart while the Nuvo drops were still wet because, as I am constantly doing, I accidentally laid a piece of something I was working with on top of it before it was dry causing it to look all dimpled. So, a little shimmery heart from Pretty Pink Posh came to the rescue! New Year's resolution: spread out a little on my 16' (yes, two 8' doors laid end-to-end and supported with open shelves and an unneeded night stand) workspace and pay attention to wet stuff! I adhered the lacy diecuts with only a little Zig 2-Way glue around the edges and on the larger flowers. I wanted the lace to kind of float above the base. I think using a very narrow foam tape might be nice, too. Note: some affiliate links have been used at no cost to you.